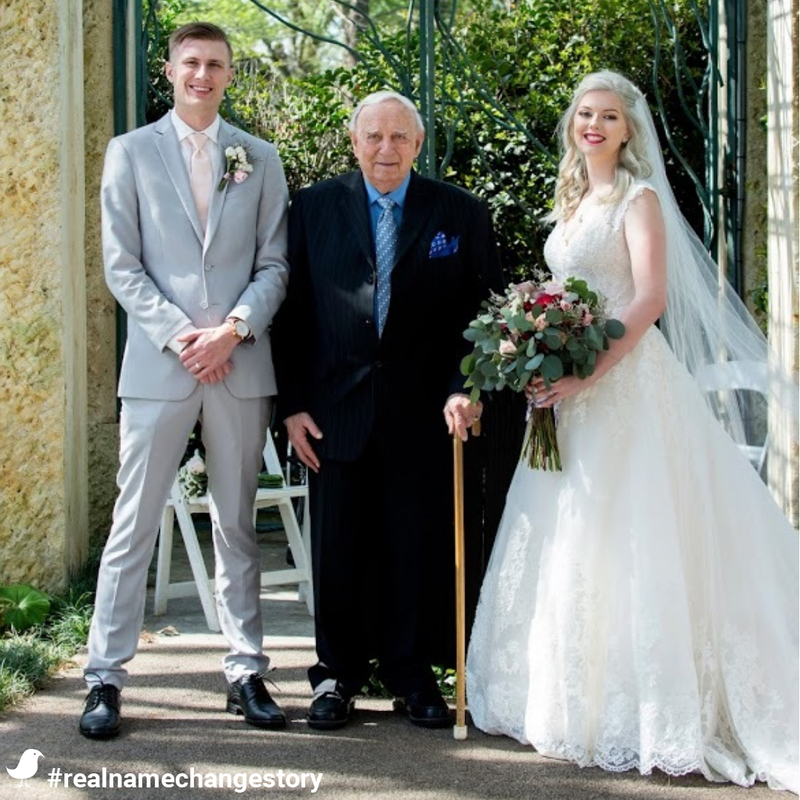 We love love, and you’re going to love the real name change story of Brittany B! 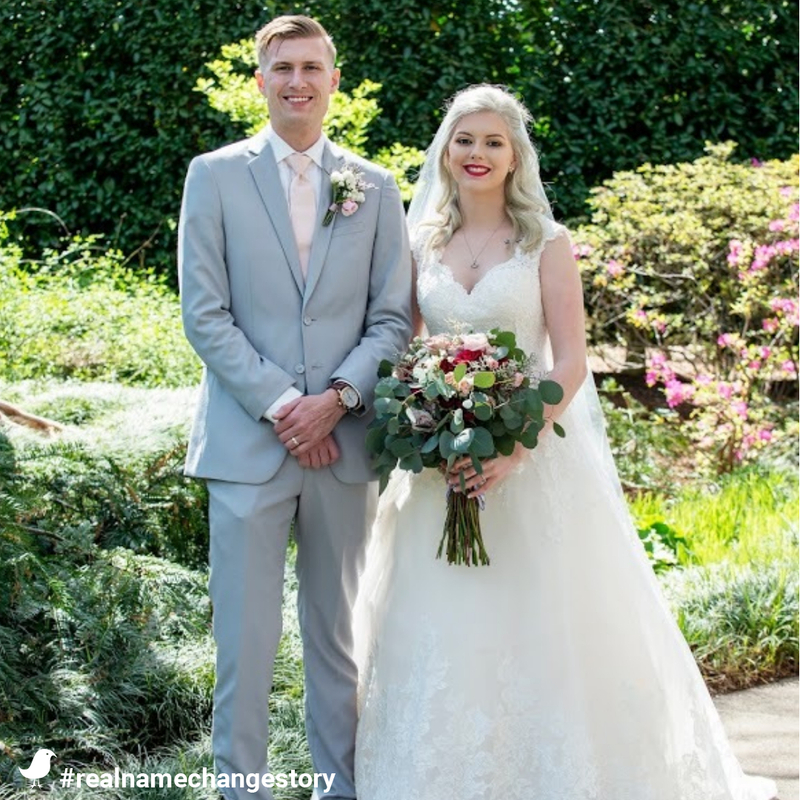 Don’t miss her story of love at first sight, an island proposal, and of course the thoughts and factors that went into her name change decision. My now-husband and I first met online through the popular dating website, Plenty of Fish, just over two years ago. We both remember it very fondly because we met on February 29th that leap year! After talking online for about a week while I was out of state visiting my best friend, we finally met in person on March 10th, 2016. The rest, as they say, is history. I remember calling all of my close friends after our first date and telling them “I am going to marry this man.” I just knew from that day forward that he was the man that I would spend the rest of my life with. In June of the following year during a road trip from Texas to Florida, he proposed to me on a remote island about 11 miles off the coast of Biloxi, Mississippi. We were recently married on March 31st, 2018 at our favorite garden in the Dallas Arboretum and it was absolutely perfect. The entire day was filled with nothing but love, joy, and happiness and we truly could not have envisioned a more perfect wedding day! It is a memory that the two of us will cherish forever. We discussed the idea of changing my name very early on in our engagement. I have always been extremely open to the idea of changing my name after marriage, so there was really not too much for us to mutually consider. For me personally, the best and most exciting part of changing my name is what it symbolizes. It is not only symbolic of me coming into a new and loving family, but it also marks the beginning of the creation of our own new family. My maiden name is not the name of my birth father, so I do not possess any particularly strong ties to it. I know that this is something that many new brides seem to struggle with (and rightfully so), so in a way I am rather fortunate that this has not been an issue for me. Shortly after the “honeymoon bliss” had faded, I began to do some research into the name change process. I am not sure what I had initially expected, but I certainly didn’t expect the process to be so confusing, time consuming, and utterly exhausting! As an already extremely busy person, I could just feel my anxiety beginning to worsen each time I thought about how I was ever going to get everything taken care of. MissNowMrs has been not only a game-changer, but a life saver! 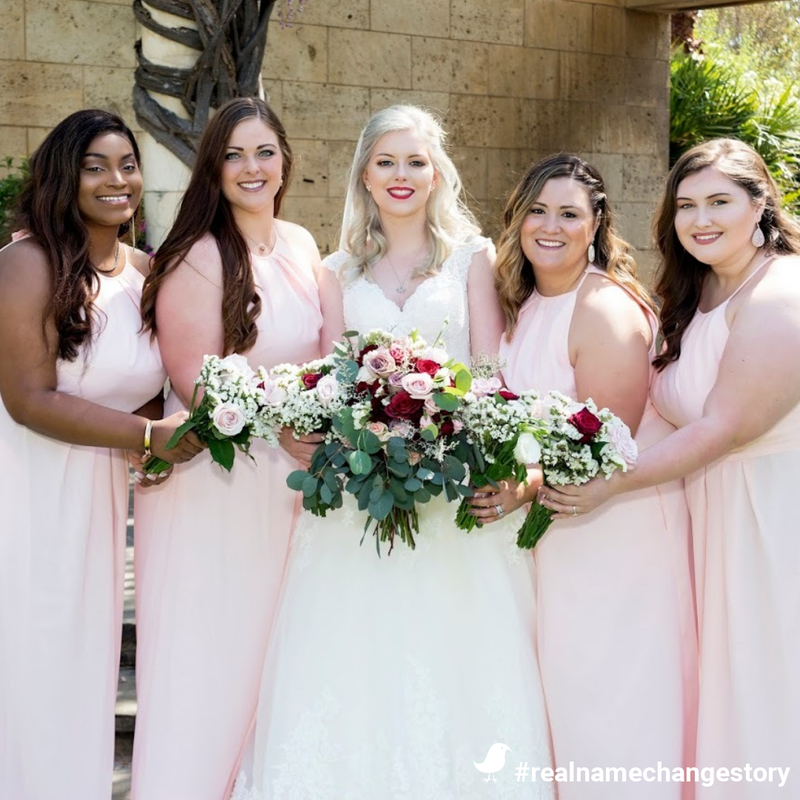 Their service has helped to significantly ease the grueling process of name changing and I highly recommend their services to any bride looking to alleviate that post-wedding burden! The greatest advice that my husband and I have to give to other newlyweds is “don’t sweat the small stuff”. Whether it is before, during, or after the wedding day, random inconveniences will inevitably arise. Do what you can to avoid them, but know that together you can overcome them!